I don’t want to do much cooking or baking this Summer. 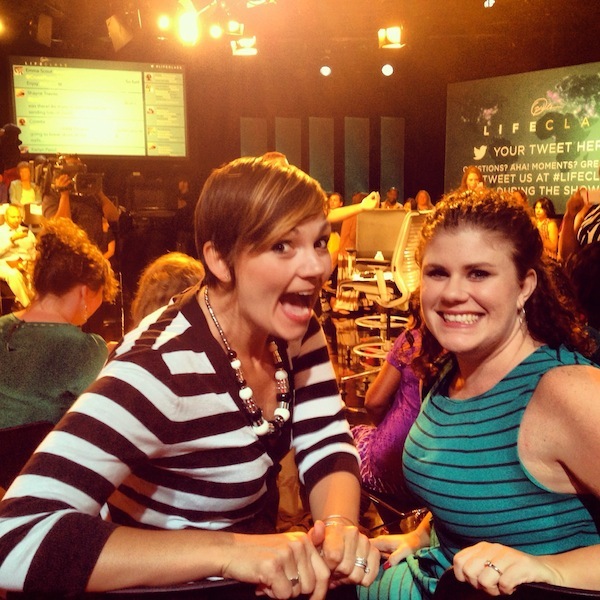 Maybe it’s the heat…. or maybe it’s because our schedule has been a little thrown off with Summer camp, spontaneous hangouts and traveling that I don’t have my regular routine down. It’s cool, though! It’s been really nice to have a break. I know that once the weather changes and the leaves start falling, I’ll start my hibernation mode where I binge on soups, hearty salads and carby things. We have this August (MY BIRTHDAY MONTH!) to catch up with the Summer…and treasure all the good things that will soon be gone and replaced with apples, pumpkin (lattes) & root vegetables. Let this be a reminder (to me mostly!) that there are delicious things we can eat this time of year. 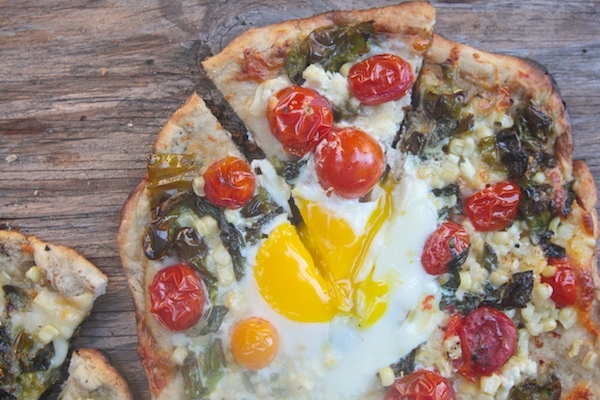 Make all these Summer Food Recipes while you can! 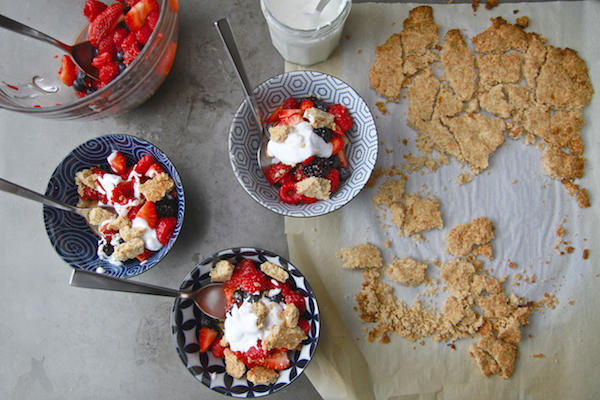 Whipped Coconut Cream is a good with all the summer berries. 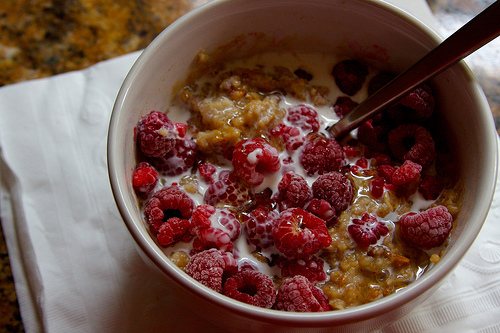 Here it is with raspberries, bananas and shredded coconut. You can make this chocolate cake entirely vegan if you use the Whipped Coconut Cream! You’ll seriously feel like a wizard. Also a great use of that coconut whipped cream situation. It’s Apricot season! 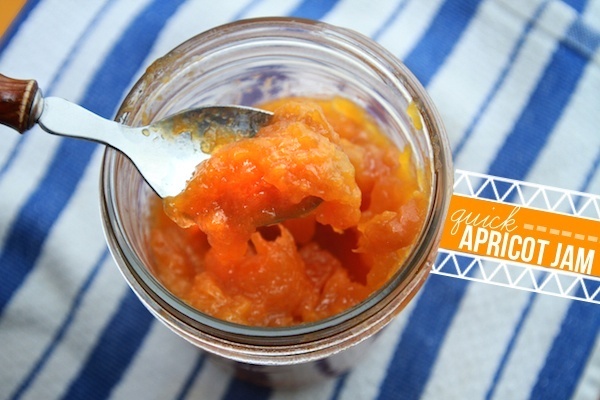 Make some Quick Apricot Jam to stir into yogurt… OR!! Pair with some brie & crusty bread. 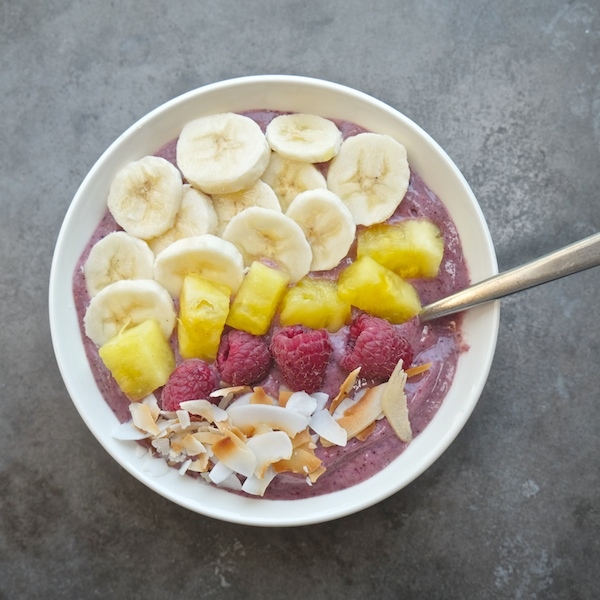 Tropical Smoothie Bowls for breakfast lunch or dinner. Dinner during the Summer. You just have to. It feels good to be an adult and have a smoothie bowl for dinner. Popcorn for dinner is always fun too. 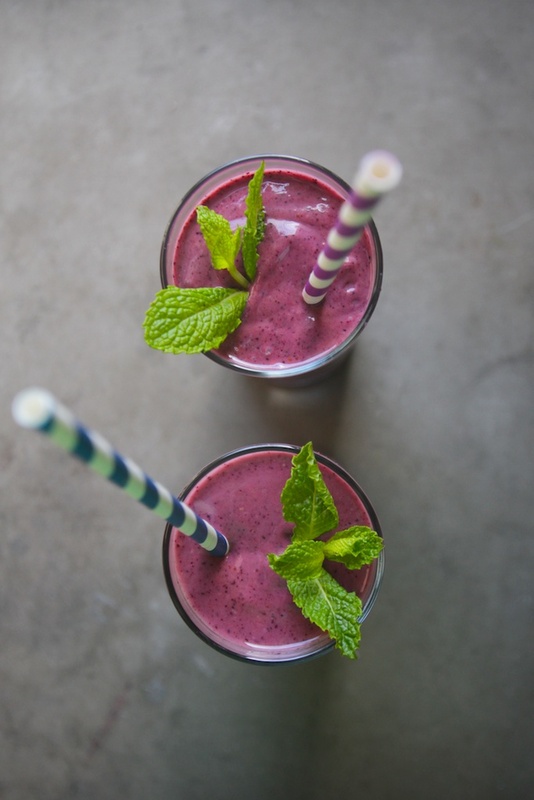 If you wanna DRINK your breakfast, try these Avocado Superfood Smoothies! If you have leftover strawberries, make Strawberry Chia Jam. 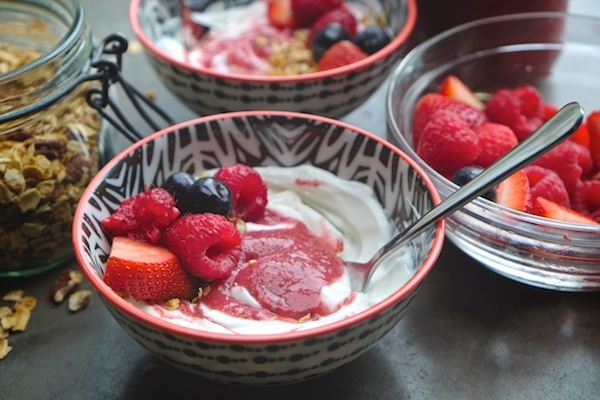 Great for yogurt breakfasts or snacks… or eating on its own. 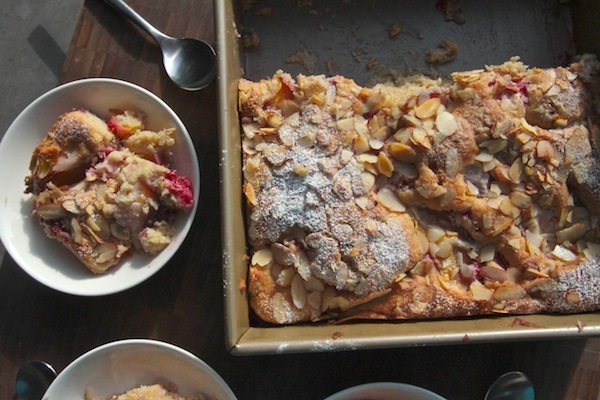 This Raspberry Peach Buckle is a dessert breakfast/bread pudding deal. It’s divine! If you don’t feel like cooking dinner, make yourself a sandwich. 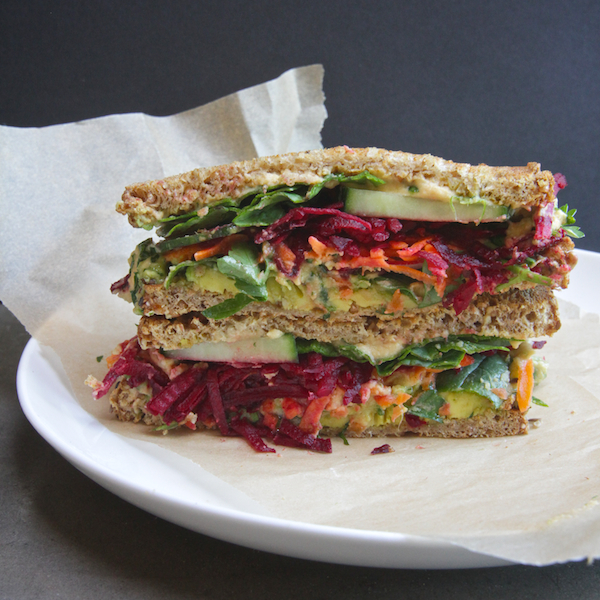 This Ultimate Veggie Sandwich is like eating a hearty salad. 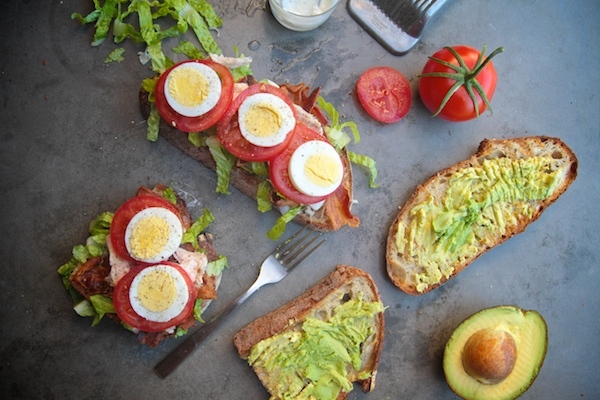 Another great salad/sandwich is this Cobb Salad Sandwich. 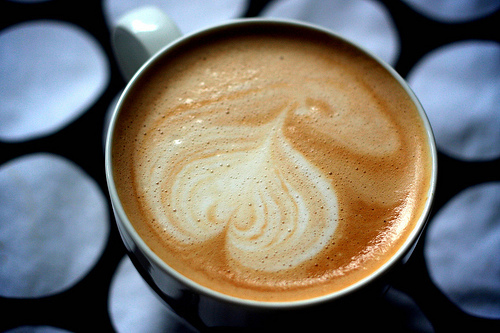 It’s hearty…and all you had to do was turn on the panini press or toaster. 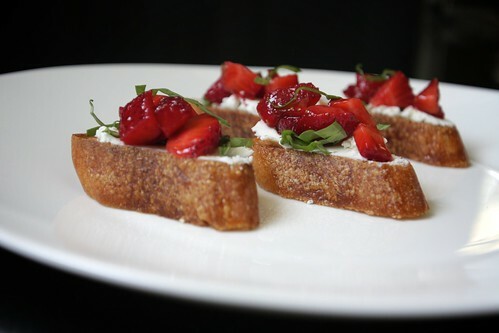 Strawberry Goat Cheese Bruschetta for those nights when you just want grilled bread! Which is like every night, right? I loved this Tomato Watermelon Salad sooooo much. 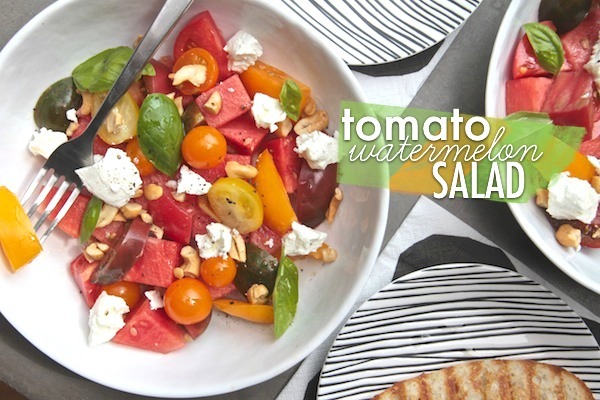 You’ll love how the dressing pairs with the tomato & watermelon and I bet you’ll love the cashew additions. You should also try to make some Tomato Butter with all those tomatoes you’ve got! Are you a nectarine lover like me? I prefer them over peaches. There…I said it. Try them in a Nectarine Caprese Salad! Bread Salad is the BEST! 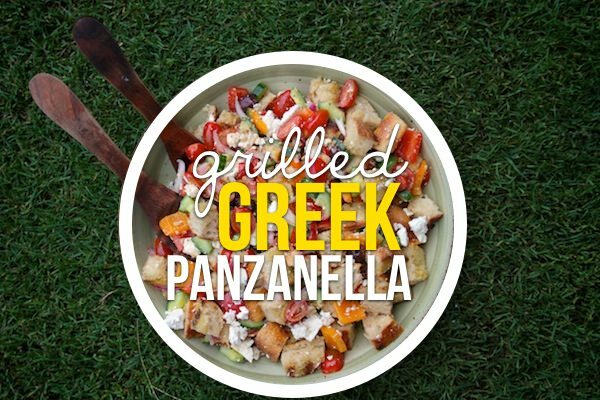 Try this Grilled Greek Panzanella number. For the love of FETA! 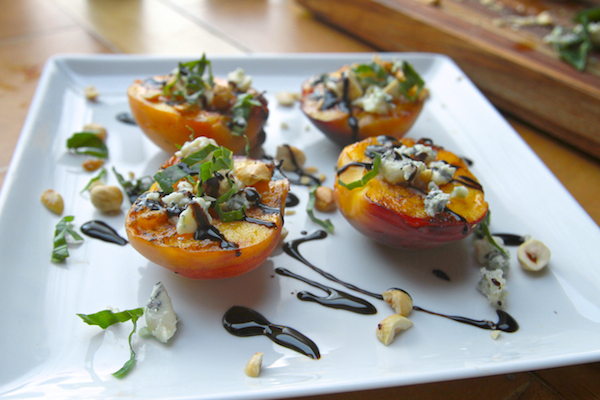 If you can’t decide if you want a sweet/savory meal, make Grilled Peaches with Blue Cheese & Hazelnuts. It meets both the requirements. We eat a lot of Fresh Rolls in the summer because MINT! Our mint goes crazy in my garden and I have to use it up! Also- Cooper eats all the vegetables inside without complaining and I love making dinners without complaints. They’re a rarity. The nerve! 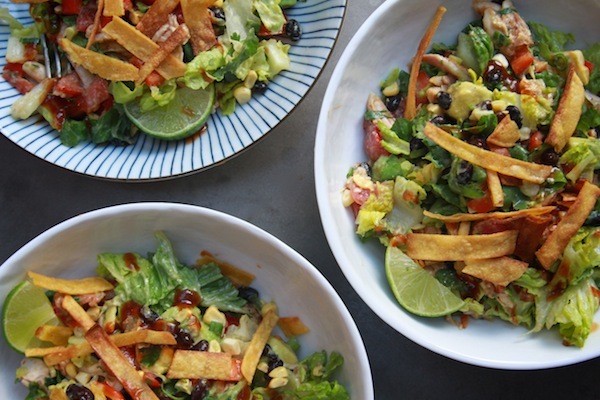 BBQ Chicken Salads. Great for work lunches. You can feel like you’re having a BBQ at your cubicle. Also, go out for a walk during your lunch break. 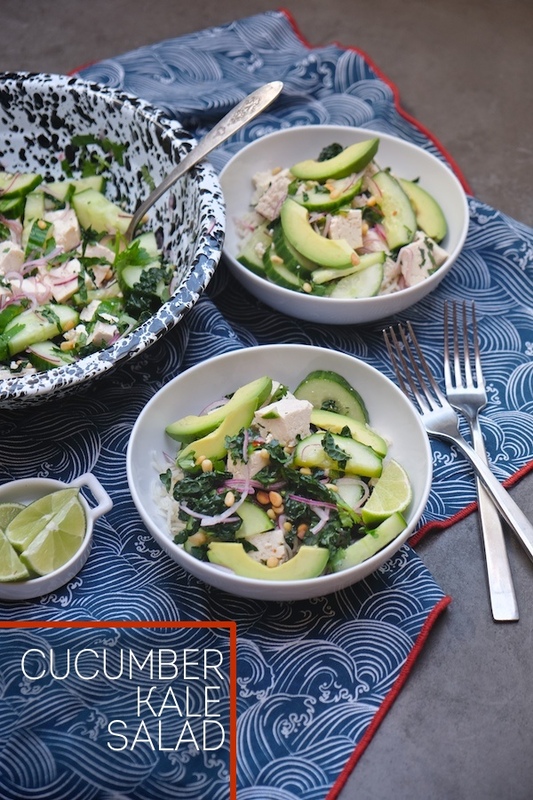 Eat this salad outside! Last year I had an obsession with grilled pizza. This Corn Tomato Shishito Pepper pizza rocked my world. 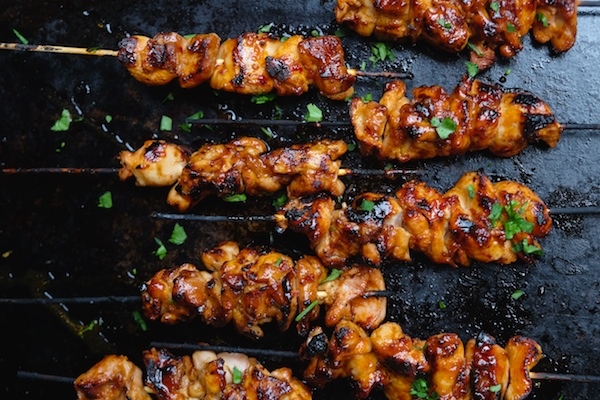 Get your grill on with these Spicy Sambal Chicken Skewers. I guarantee no leftovers. 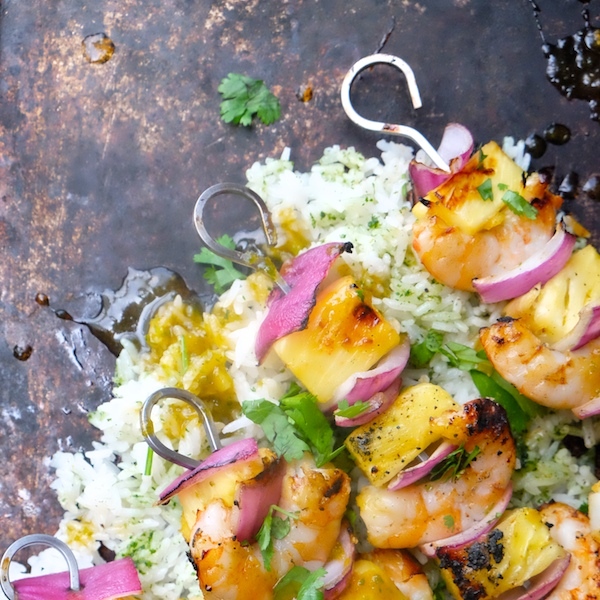 Grilled Shrimp & Pineapple Skewers were a hit this Summer. You should make them for sure. 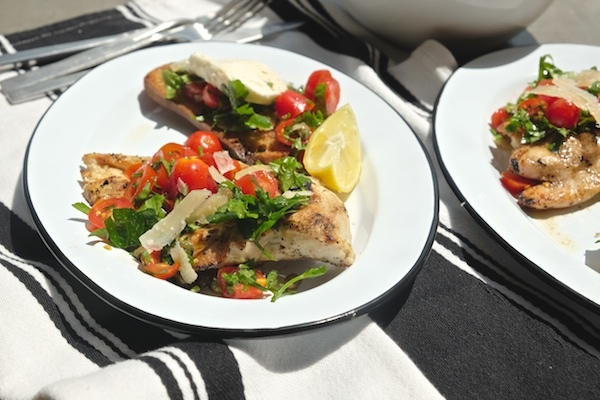 For a quick weeknight meal, turn on the grill and make Grilled Chicken with Tomato Parsley Salad. 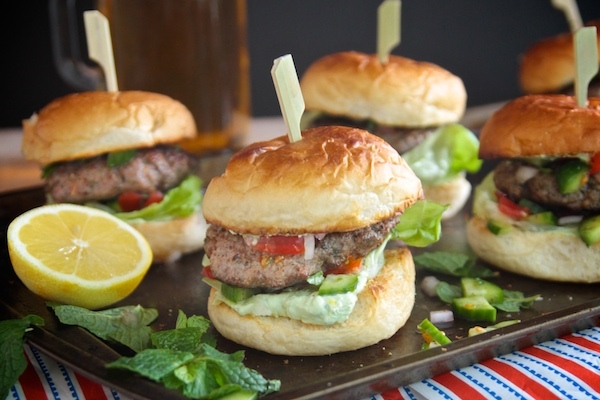 Fire up the grill and make these Greek Lamb Sliders. My husband loooooooooved these. 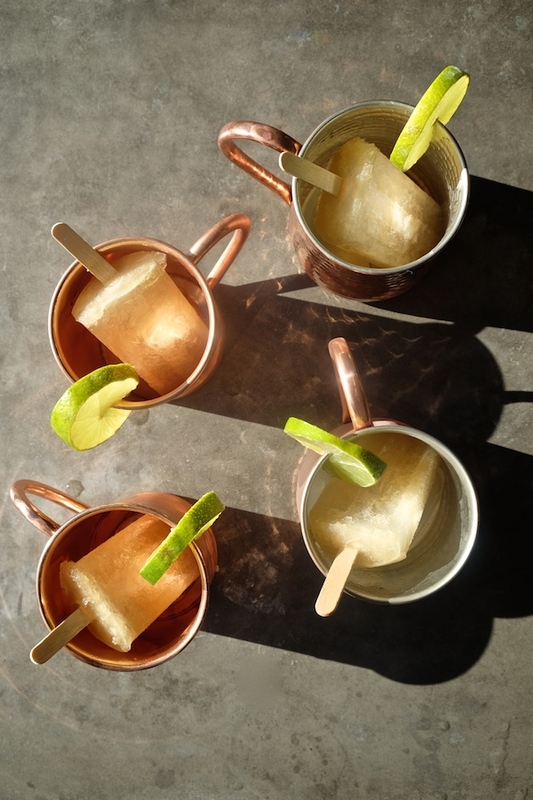 Moscow Mule Popsicles for your cocktail needs. 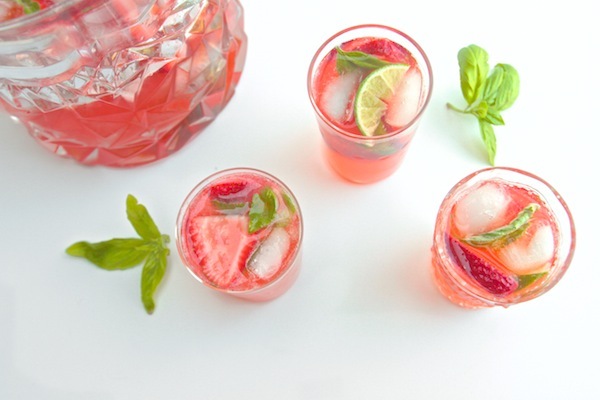 Strawberry Ginger Punch….goes down nicely! Perfect for a party too. 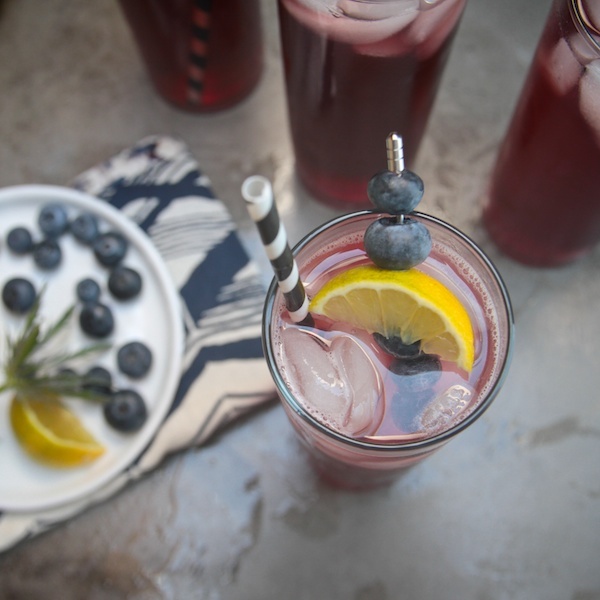 Spiced Blueberry Lemonade is so good…You may end up having three. 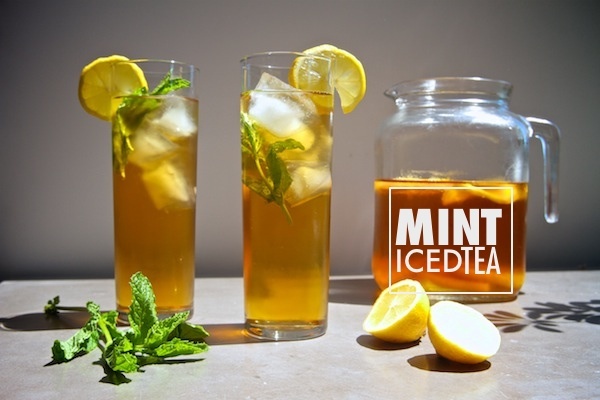 If you need me….I’ll be drinking this Mint Iced Tea. I might make an Arnold Palmer with it. I haven’t stopped thinking about these Lemon Blueberry Ice Cream Sandwiches. 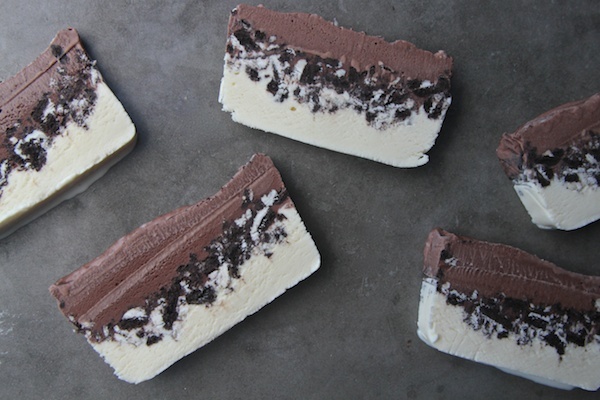 If you have interest in making really easy desserts, start with this Cookies & Cream Ice Cream Cake. People will think you’re a genius. 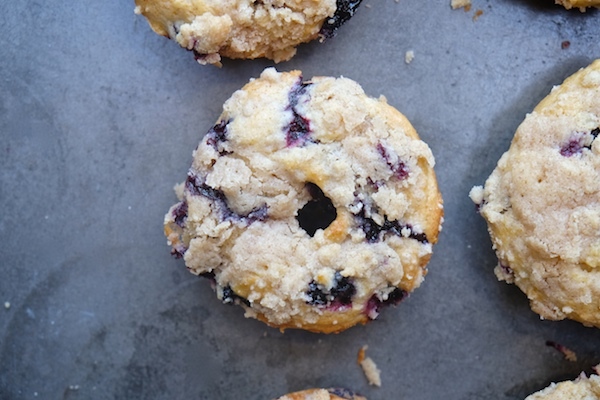 If you feel like baking and you have tons of blueberries, make these Baked Blueberry Crumb Doughnuts. They’re a cross between a muffin & a doughnut. Doughffin. That sounds like dolphin. Just go with it. 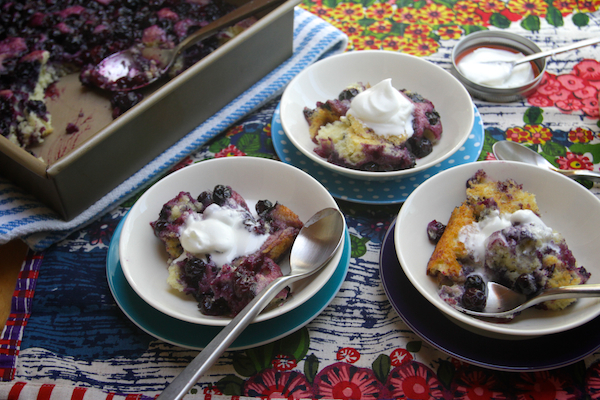 And speaking of blueberries, this Blueberry Pudding Cake has always been a winner. My mom constantly makes it for my Dad. My dad is a blueberry fan. My mom admits to never following the recipe correctly but somehow it always works out. Sorry I threw you under the bus, Ma. But also that should show you that it’s kind of a foolproof recipe. 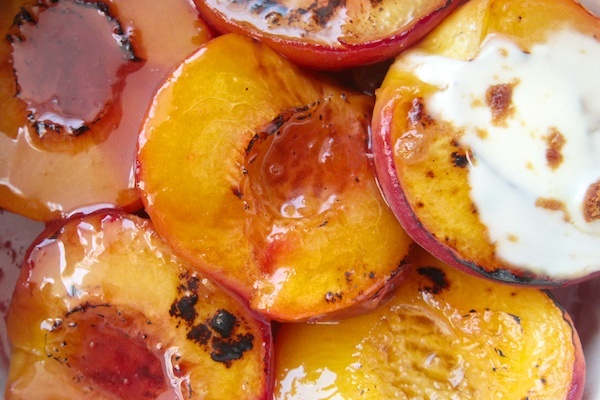 Peaches Roasted in Amaretto. ‘Nuff said. 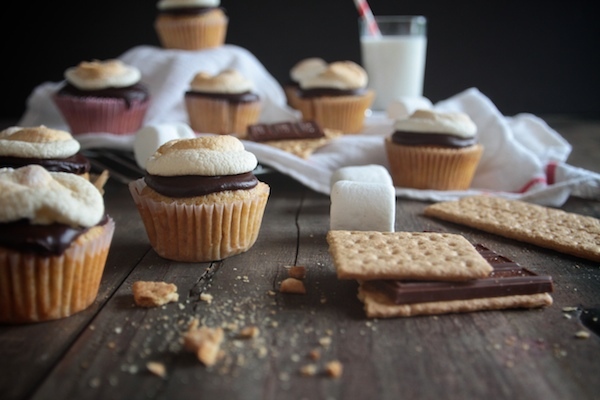 For those work parties or Summer BBQs, S’mores Cupcakes are definitely a showstopper. Or if you just want to toast some marshmallows and you don’t have an open fire….use the baking marshmallows technique in that post. Oh my! 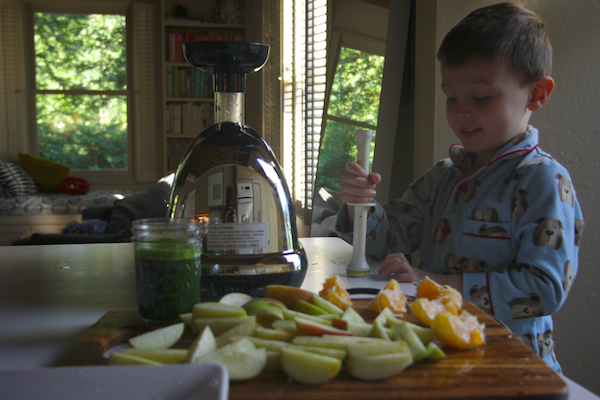 Thanks for this… I was getting in a bit of a cooking rut – I’m out now! I want to make all of these amazing looking things!! 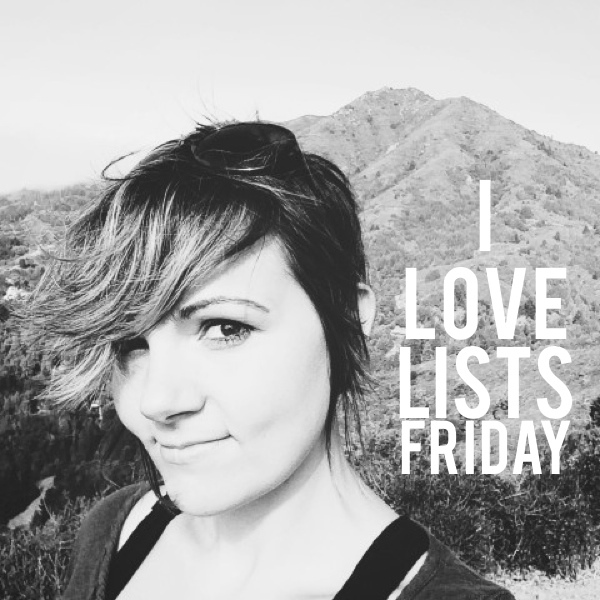 Thanks for pulling together such a tasty looking list of foods – and for helping answering the what on earth can I make for dinner question! 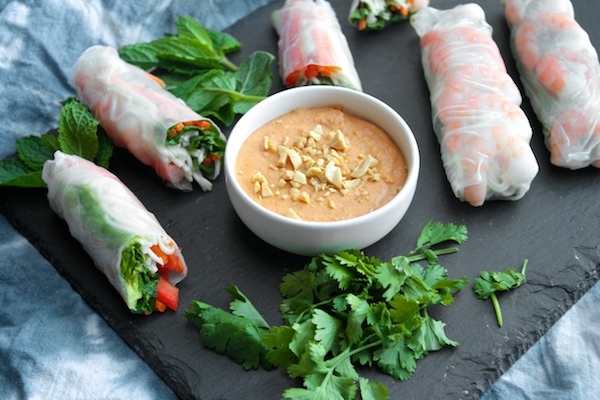 I love fresh spring rolls in the summer too, though I’m not the best at wrangling the rice papers into a neat roll. My 18 month old daughter had a fun time eating hers, and went nuts over the peanut sauce (haaaaaa). I loved this. 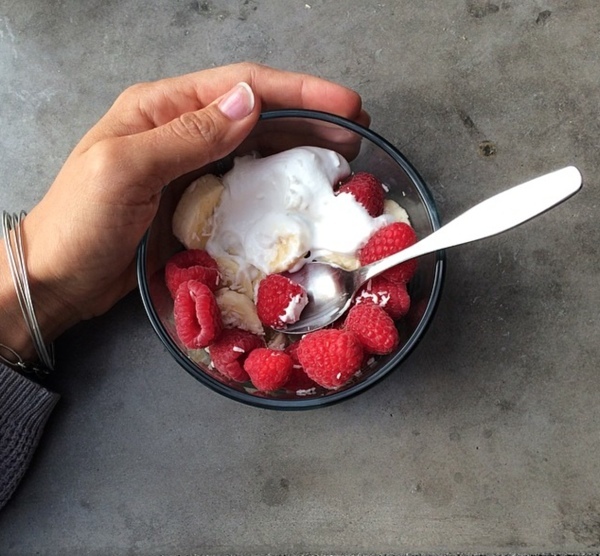 I love the honesty too – I was wondering how you keep up with the routine during the summer months. You have so many recipes on your site that I haven’t explored and posts like this remind me of this. 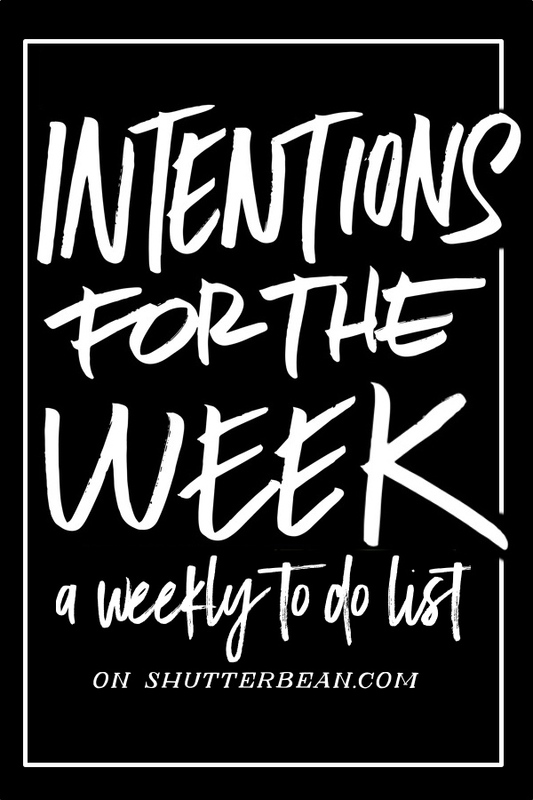 Great post.. love your recipes! I have to ask, did Cooper ever come back to blueberries? I have a five year old that won’t touch them, but as a toddler it was his favorite.. 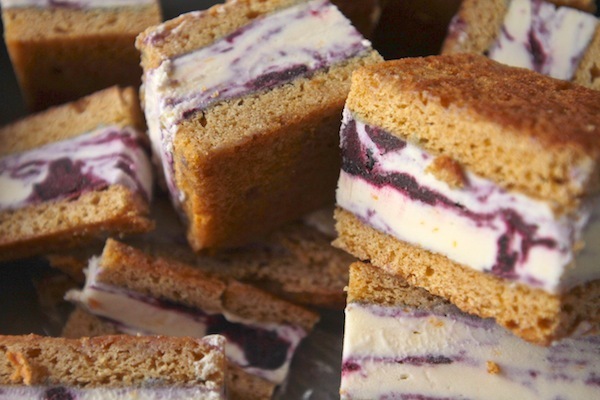 Regardless, I’m going to give them blueberry lemon ice cream sandwiches a go this weekend. 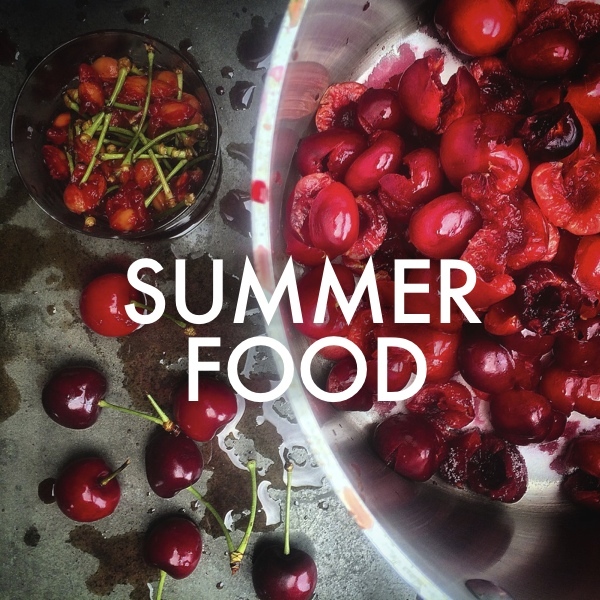 Thanks for the inspiration- it’s summer, eat it up! YES! He loves them now. Only raw though…not cooked! Do you think your tomato butter would freeze well? I just ordered 20 pounds of tomatoes (I know, I went a bit crazy and i may order another 20 more!) so I’m starting a list of what to do with them. Tomato butter on sourdough toast would be INSANE in the winter with a nice thick stew. Ooh I’m going to try that chocolate cake (end of winter here, so totally baking season!) Our baby was just diagnosed with nut & egg allergies (ugh, she’ll be “that kid” at birthday parties”, so I’m starting to stockpile eggless and nut free recipes (especially any without weird substitutes), so your cake looks absolutely perfect! 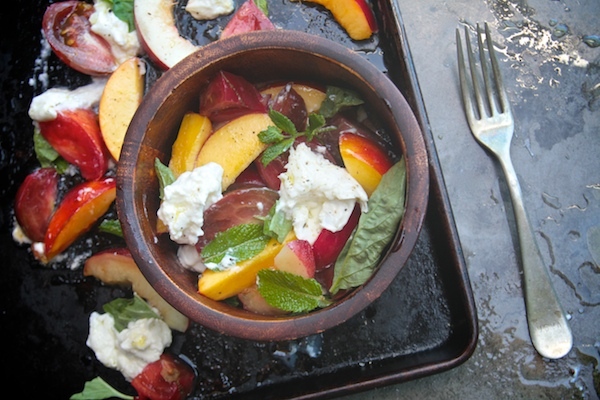 Aside from your coconut- lime bars, the nectarine caprese salad is my favorite thing you have made on your site. It is perfection. 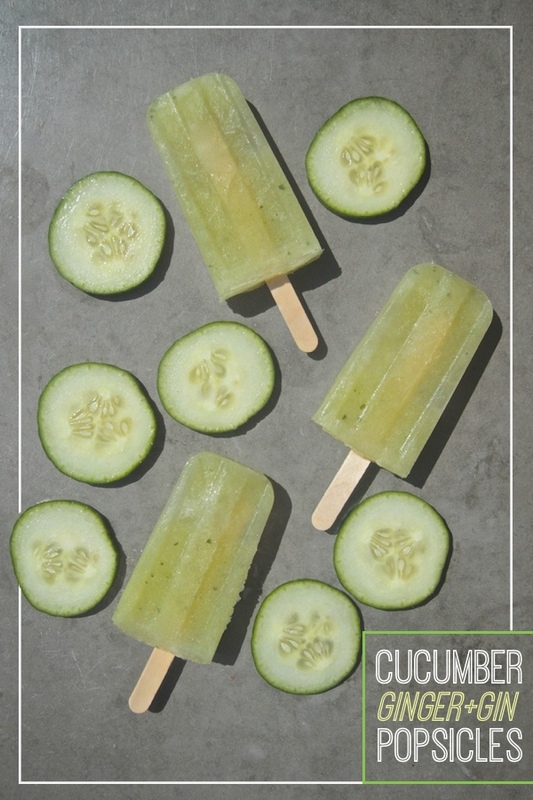 I’m going to make the mint iced tea, the tomato watermelon salad, the veg sammy, and the chicken skewers. I want to make a chicken pot pie so bad. But it’s summer still.